While summer doesn’t officially end until September 21st, Labor Day Weekend is the last Friday night fireworks show of the Coney Island season and the last time the lifeguards will be on duty this year. The rides remain open weekends and school holidays. 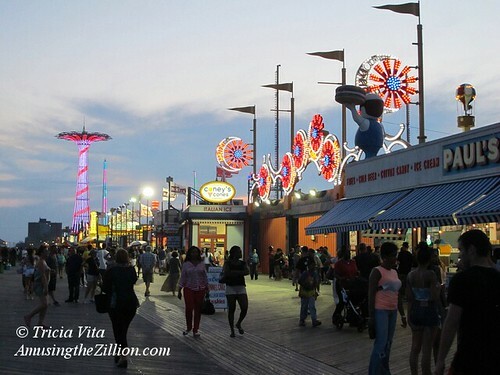 We’ll be posting our favorite photos of the summer like this one of dusk on the Boardwalk. Beautiful photo. Coney Lives. The People’s Playground, Electric Eden, Revisited, Revitalized, Reimagined, Lives. Thanks, Bruce. The lights at dusk are magical!